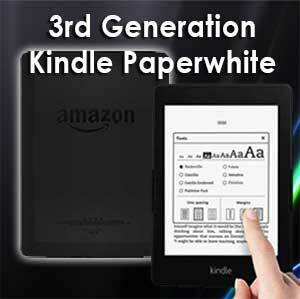 3rd Generation New Kindle Paperwhite? Just two months after the launching of all new Kindle Paperwhite (2nd generation), TechCrunch has reported that Amazon is preparing for it 3rd Generation New Kindle Paperwhite to be released in 2nd quater of 2014. 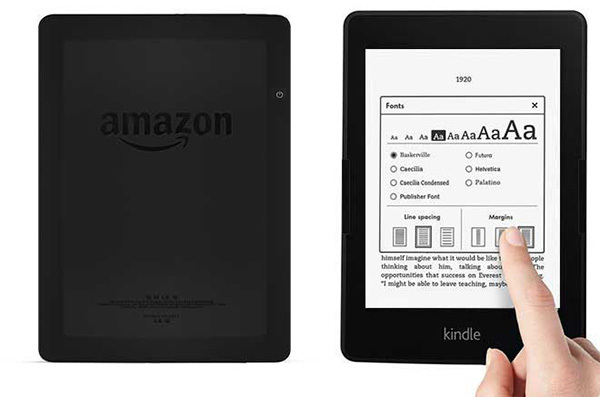 The report claims that a prototype of 3rd Generation New Kindle Paperwhite has been seen. The device is codenamed as Ice Wine, there will be a major upgrade to the current Kindle Paperwhite’s specifications, the screen resolution will increase from 212ppi to 330ppi, catching up with other e-readers like Kobo. The next-gen new Kindle Paperwhite will cast away with its current mold, the outer design of this third generation new Kindle Paperwhite will be more in line with the Kindle HDX look, a more angular shape at the back and chamfer to the edges. 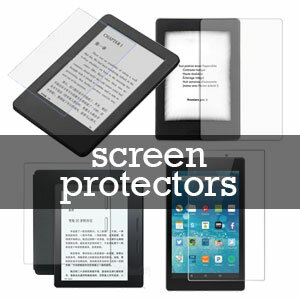 The front screen is flushing with the edges and it is made of matte glass instead of plastic, and it is said to be lighter than the previous two generations Kindle Paperwhite. Latest circulation online said that the Kindle Paperwhite 3 will be using the new flexible screen called Mobius, which is much lighter than the screen use in the previous Kindle Paperwhite. There will be squeezable buttons at both edges of the screen with haptic feedback when activated, now you will be able to squeeze the edge button for flipping pages instead of awkwardly tap on the ‘next pages' zone of the screen. The 3rd Generation New Kindle Paperwhite will also has the ambient light sensor, it will now automatically and gradually measure the surrounding light and adjusts the screen brightness without jarring transitions. There is no report on the major software improvements except new typography and custom-built font feature are already in the pipe-line, a hyphenation feature will also be introduced for better alignment and reading experience. As usual, there will be firmware update to utilise the new resolution. It is still several months to go before the 3rd Generation New Kindle Paperwhite is officially debut in the market, until then, it is possible that some of the features and design could change. This New Kindle is called Kindle Voyage, CLICK HERE TO CHECK OUT THE PRICE.